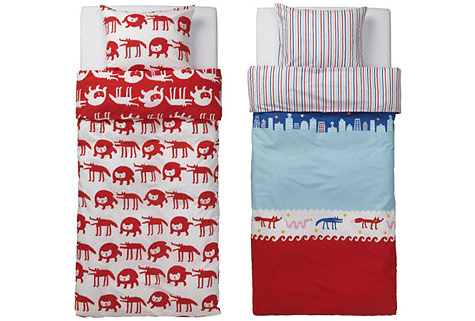 Great new bedding textile designs from Ikea! That first one makes my heart skip a beat, but I don't think I could pull it off in my "adult"-looking bedroom. Shame! The last two are from their children's collection.